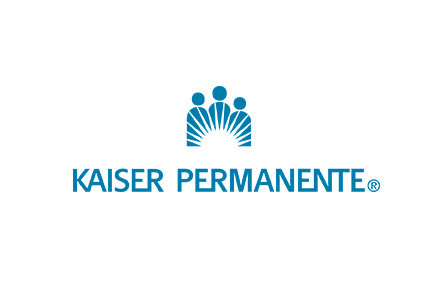 Momentum Textiles is pleased to collaborate with Kaiser Permanente’s Environmental Stewardship program specifically for purchasing safer products. Kaiser Permanente’s 2025 goal is to increase their purchase of products and materials meeting environmental standards to 50 percent. 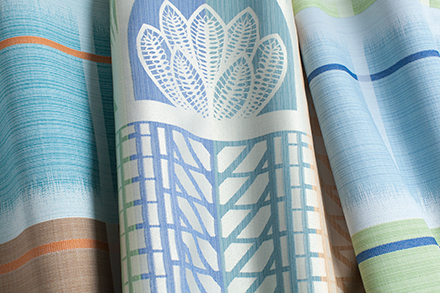 Momentum Textiles products are helping them meet their goal. 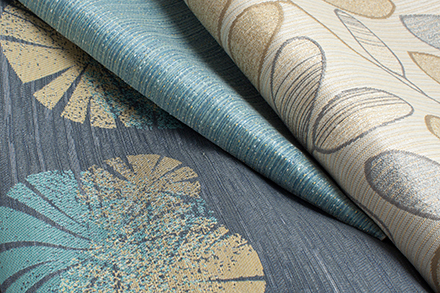 Momentum Textiles is a leading creator of sustainable textiles that perform in all contract environments. We believe innovation has resulted in products that have positively impacted the healthcare industry. During the last decade we’ve created industry changing products – sustainable and high performing. Two of these products are Silica and Naked Nylon®. Silica was created to be the most sustainable alternative to vinyl. PVC free coated fabrics are better for the environment, safer for human health and longer lasting. Silica and Silica Prints total 30 patterns. 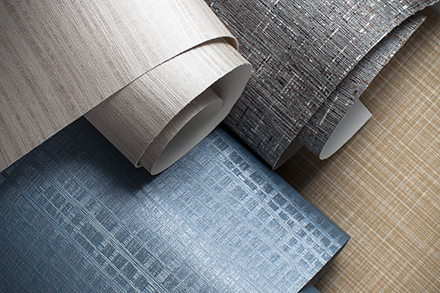 The four Silica patterns are solids and textures - Silica, Silica Leather, Silica Tech and Silica Etch. 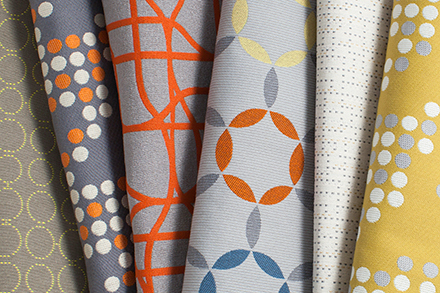 Silica Prints 26 patterns is an innovative addition to the Silica family of products. Silica Prints offers all the environmental, cleaning and performance benefits of Silica with endless design possibilities. Silica Prints is a new paradigm for printed coated fabrics. The multi-colored designs are printed on the fabric, then the fabric is coated with silicone. This process preserves the rich colorations and assures the fabric retains the phenomenal cleanability and performance of Silica. There is no compromise of the sustainable attributes. Silica Prints performs just like Silica and has beautiful, interesting color and design. Silica has been recognized by the industry as an innovative award winning product. Naked Nylon® was created to be the most sustainable performance fabric. Naked Nylon® was made from the first new recycled yarn for the contract textiles industry in more than 15 years. Over two years in development and in partnership with Unifi, one of the largest yarn innovators globally, Momentum Textiles introduced the first significant new recycled fiber for the contract textile industry. Today many recycled solution dyed nylon fabrics in the contract textile industry are made with Unifi’s Repreve yarn - first developed for Naked Nylon®. With 26 total patterns, there is simply no other textile collection on the market that can offer such a winning combination of performance and sustainability attributes. 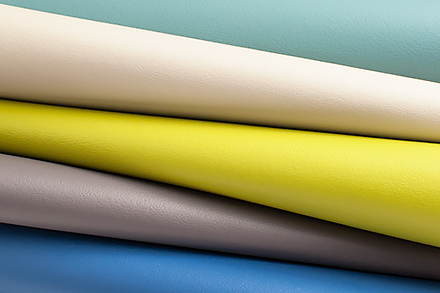 All Momentum textiles are PVC free, made from natural or recycled materials and are Greenguard certified. In partnership with Kaiser Permanente’s Environmental Stewardship program, Momentum Textiles Silica and Silica Prints, Naked Nylon®, Naked Poly, Polyurethane, Privacy Curtain and Wallcovering products meet the criteria evaluated by Kaiser’s Sustainability Scorecard. All of these products are free of formaldehyde, perfluorinated compounds, PVC's, antimicrobials, and flame retardants. 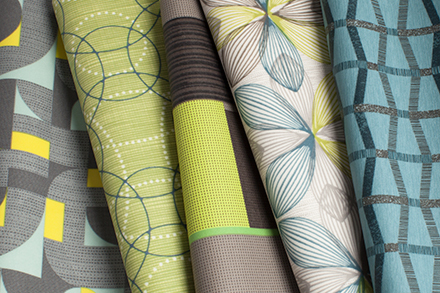 Click on the above products to see all the patterns and colorways that have met Kaiser Permanente’s criteria. Momentum Textiles is continually innovating and adding new products that are better for human health, sustainable and perform in the healthcare environment. This list is the beginning of our partnership with Kaiser Permanente.